Central Blue Mountains Rotary Club conducts a Book Sale from time to time to raise funds for our local projects. 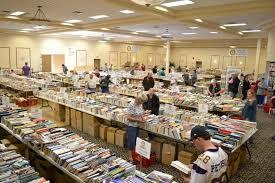 Keep an eye out on our facebook site and in local media for details of our next book sale. We sincerely thank the local people who are kind enough to donate their unwanted books for re-sale and those who come along and support the Book Sale.